Don't make fun of my less than stellar looking crust...it's a skill I'm working on! Pie is my nemesis. Or maybe I should say pie crust is my nemesis. I know it isn’t hard to make it from scratch, but for me, it is just hard to work with. I can barely deal with the store bought kind. 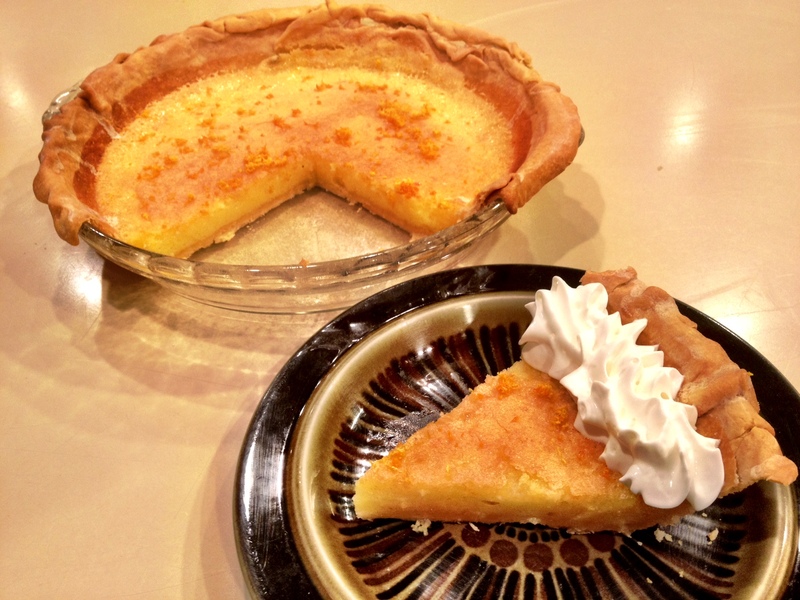 BUT, I went for it, just because I was so curious about this Tangerine Chess Pie from Southern Living, and also because it is 3/14…Pi Day! The store bought crust is pretty standard, but the dreamy filling is anything but. Served chilled it is fresh and delicious, and reminded me of a lemon bar. 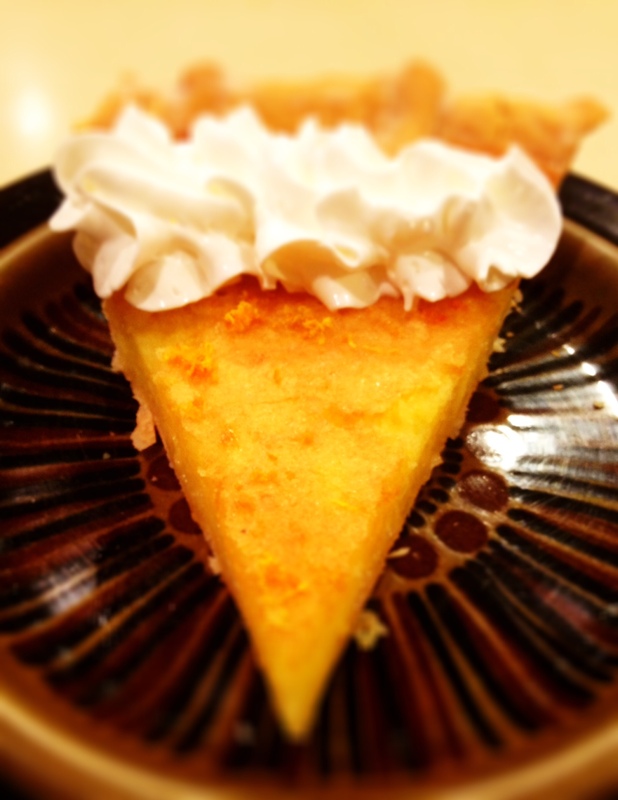 I am tempted to adapt this recipe in the future…taking out the pie crust component, since it is, after all…my nemesis. 1. Preheat oven to 450°. Unroll piecrusts; stack on a lightly floured surface. Roll into a 12-inch circle. Fit piecrust into a 9-inch pie plate; fold edges under, and crimp. Prick bottom and sides of crust with a fork. Bake 8 minutes; cool on a wire rack 15 minutes. Reduce oven temperature to 350°. 2. Whisk together sugar and next 8 ingredients until blended. Pour into prepared piecrust. 3. Bake at 350° for 40 to 45 minutes or until center is set, shielding edges with foil after 20 minutes to prevent excessive browning. Cool 1 hour.